"If you didn’t like “Agenda 21″, then you really are not going to like “The 2030 Agenda”. Next month, the United Nations is going to launch “The 2030 Agenda” at a major conference that will be held from September 25th to September 27th in New York City. The Pope is actually traveling to New York to deliver an address which will kick off this conference. Unlike Agenda 21, which primarily focused on the environment, the 2030 Agenda is truly a template for governing the entire planet. In addition to addressing climate change, it also sets ambitious goals for areas such as economics, health, energy, education, agriculture, gender equality and a whole host of other issues. As you will see below, this global initiative is being billed as a “new universal Agenda” for humanity. If you are anything like me, alarm bells are going off in your head right about now. And of course this is just the tip of the iceberg." Perhaps this has something to do with the following two links that had us puzzled? Yes, using the drought to justify this, but, isn't the drought being geo-engineered? Then this one, it all begins to make sense now! "Where oh where have the Muslim migrants gone? That is the question German authorities are asking themselves after some troubling reports of disappearances. According to German press reports, keeping track of all the Muhammads and Alis pouring across borders is proving ever so tricky for European countries being flooded with people on the move from the Middle East and Africa. 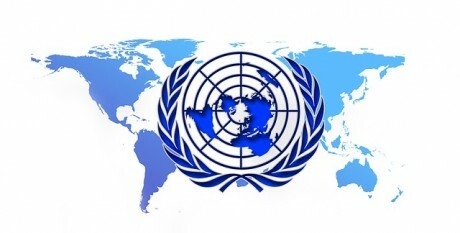 Now, the United Nations is partnering with a private company to offer a solution – a new “universal” identification system that will comply with the United Nations’ sustainability goal of having biometric identification “in the hands of every citizen” in the world by 2030. At least 580 refugees initially were reported to have disappeared from Camp Shelterschlefe. Now, in a “terrible new twist,” the disappearances are spreading. Such a high number of people hiding is “completely unacceptable,” according to the German authorities. The problem of refugees gone missing is clearly on the radar of global elites, and in fact they are already using the refugee crisis to promote a sweeping new global ID system, WND has learned. The United Nations high commissioner for refugees in May 2015 awarded a three-year contract to a firm called Accenture to “identify and track” refugees in a pilot program targeting camps in Africa and Asia with a new biometric ID, reports FindBiometrics.com, a trade journal covering the biometric and information management industries. Accenture is an international technology services provider based in Chicago. This “universal ID,” which grabs the biometric data of refugees, is just a starting point for the United Nations. The goal is to eventually bring all people into the massive data bank. The proof is in the U.N.’s own documents. The World Bank is also throwing its weight behind the United Nations biometric project being conducted by Accenture. In a new report issued in collaboration with Accenture, the World Bank is calling on governments to “work together to implement standardized, cost-effective identity management solutions,” according to FindBiometrics. A summary of the report states that about 1.8 billion adults around the world lack any kind of official identification. “That can exclude those individuals from access to essential services, and can also cause serious difficulties when it comes to trans-border identification,” according to FindBiometrics. Then comes the final admission by the World Bank that the new biometric IDs are not just for refugees. the chip is in all cards and canada and u.s are on board now. using fiduciary penalties and fees to make ALL comply with having the chip. watching congressional hearings on the "october mandate" to have chips in all debit and credit cards you will hear how sure they are that these fiduciary weapons are enough to make all comply. biometric id is a start but the biometric chip implanted in the right hands or foreheads is their final goal. great post breezy.. The Ammon Bundy group, currently operating 30 miles outside of the Burns, Oregon, has been the victim of the most heinous and effective takeovers in the history of the media. The Ammon Bundy group along with their presence in Oregon, threatens to expose a terrible agenda of oppression and governmental abuse being perpetrated against the American people and in particular the ranchers and .. 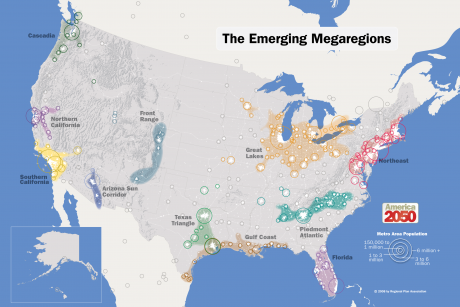 The American West is beign carved up like a Thanksgiving turkey. 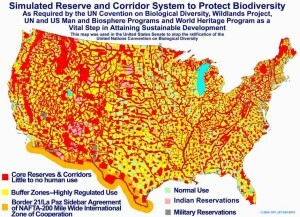 The BLM and EPA are making great progress in moving people out of rural areas in deference to Agenda 21 and the globalist desire to move everyone into stack and pack cities. In fact this planned relocation has genocide as its hallmark trait. Ammon Bundy stands between you and America’s date with genocide. The following paragraphs will make this outrageous assertion crystal clear. Again, if Ammon Bundy loses and this whole series of events gets swept under the carpet, the march toward America 2050 and America’s date with genocide, will continue unabated. IF you want to slow this down, then circulate this article, or write one of your own and distribute it widely, our lives depend on it. That article references this UN "2030 Agenda" document that pushes a blueprint for so-called "sustainable development" around the world. This document describes nothing less than a global government takeover of every nation across the planet. The "goals" of this document are nothing more than code words for a corporate-government fascist agenda that will imprison humanity in a devastating cycle of poverty while enriching the world's most powerful globalist corporations like Monsanto and DuPont. In the interests of helping wake up humanity, I've decided to translate the 17 points of this 2030 agenda so that readers everywhere can understand what this document is really calling for. To perform this translation, you have to understand how globalists disguise their monopolistic agendas in "feel good" language. Here's the point-by-point translation. Notice carefully that nowhere does this document state that "achieving human freedom" is one of its goals. Nor does it explain HOW these goals are to be achieved. As you'll see here, every single point in this UN agenda is to be achieved through centralized government control and totalitarian mandates that resemble communism. Totalitarians ...they really think they have it all sewed up.my sense of this is ya scary...although a plan must be in place, they have forgotten one very important thing- the human spirit and especially in dire times the events of the surge of this awareness will come through stronger than ever before- it is like a plant that knows it is going to die soon and creates fruit...life knows what it must do to survive. 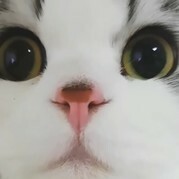 Phillipbbg posted this in shout, I think it belongs here, so we don't lose it. "As American plunges head long into Agenda 21 under the pseudo-science of Climate Change, what will the future hold? If we look across the ocean, we can see an English speaking country where Agenda 21 is much further along than it is here in this country. By examining South Africa, we can get a clear look at what is coming our way. In the last several months, I have received several communications from people living in South Africa. I have heard from a teacher, a professor, an engineer, a nurse, a construction worker, a former police officer and a locally elected political official who contacted me through a third party in order to escape detection. All of these individuals found me as the result of my weekly radio show through our live streaming capability, or they found me through my website. I come from a generation where I find this kind of international reach for a radio program broadcasted out of my home with a satellite uplink, to be stunning. But even more stunning, is the total destruction of a country and its culture and that is taking place in South Africa. To a person, these people blame their adoption of Agenda 21 policies in one form or another. " Even though it's BIN, this one is true, and I've said more than one time, that we, the US, is fast becoming S. Africa, however Obama has not danced in public yet, screaming for us all to be killed, like Zuma has. I'd suggest people read this article. Many of us are aware, but it sure lays the whole agenda out, quite clearly.